I'm so thankful that there were no technical issues this month with the post. 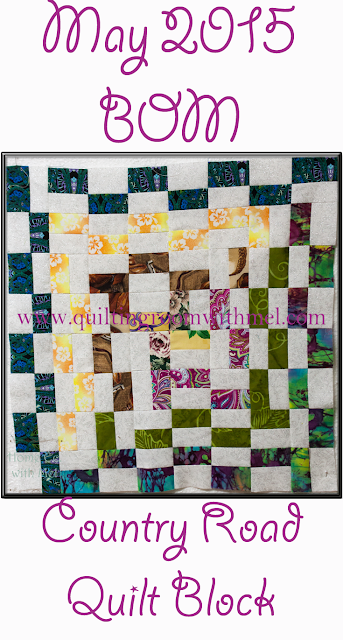 This month we are making an abstract, scrappy quilt block. I designed this block to represent important parts and people in my life. It's time to dig into your scraps and find fabrics that are either from your favorite projects, important people, or represent a time in your life. 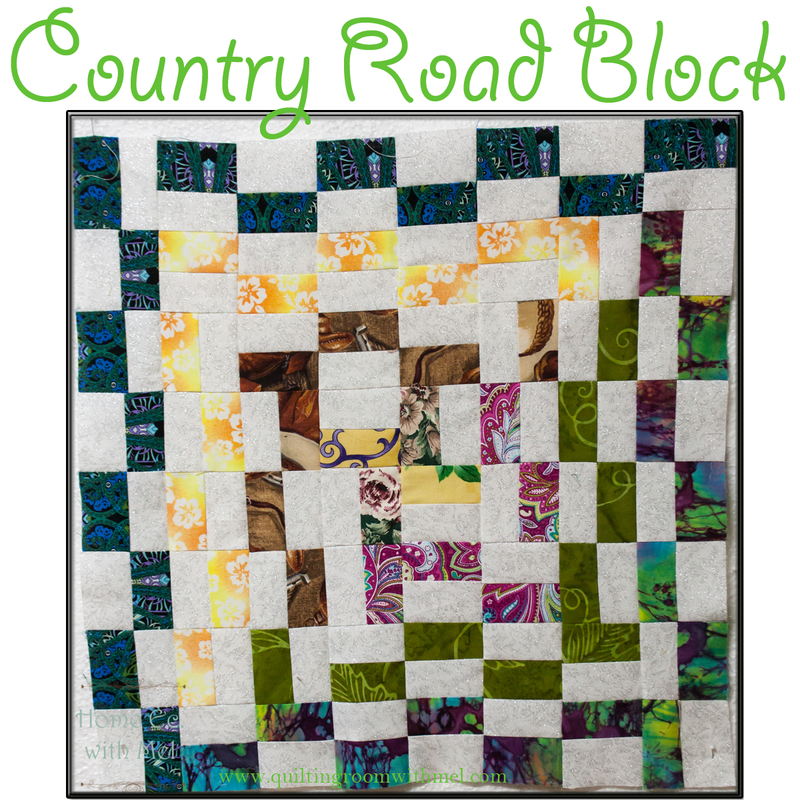 The quilt block gets it's name from John Denver's song Country Roads Take Me Home. I've lived in a rural most of my life and a country road will always bring me home. I know that no matter where the road takes me as long as I remember where I came from I'll be OK. Let's make your Country Road. 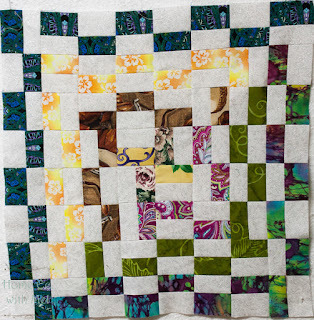 Don't forget to sign up for the mailing list so you get fabric requirements, bonus blocks, and the link to the next block early. After you've made your strip sets you need to first straighten the edge and then cut into 2 1/2" segments. Below is the total number of segments you need from each strip set. Here's my layout so you can reference it. If you made April's 8 point star block be sure to link it up below! I want to see what you made.